The world is currently facing a huge and dangerous problem. Climate change. Carbon Dioxide that is released by the burning of fossil fuels gets trapped in the Earth's atmosphere over time and consequently can trap heat, causing the global warming effect. The heating up of the Earth is dangerous. Ice regions will melt and as a consequence the sea levels will rise meaning that millions living in areas of low land will have to be re-homed. Global warming and climate change will lead to more extreme weather across the spectrum; crop fields will dry up and the ground will crack due to long periods without rainfall. New hot climates this will wreck havoc on the worlds food supply and famine will spread like wildfire. These are just some of the problems that will occur from the continuous burning of fossil fuels. It is clear that we cannot use fossil fuels forever, so what are our options? Renewable energy sources such as wind, hydroelectric and solar that will prevent further damage to the atmosphere and planet. Renewable however are not exactly cheap and to generate sufficient amounts of energy you require to build them on a mass, industrial scale. Nuclear energy. Nobody dare say that nuclear energy is more sufficient, powerful than renewables and fossil fuels put together. Yet nuclear energy is just that. A singular nuclear power plant can displace 6,000,000,000 tonnes of Carbon Dioxide in the atmosphere, this clearly shows that Nuclear power is a good way to go in the fight against climate change. In the United Kingdom 16 nuclear reactors produce almost 20% of the countries energy, that means that 80 power plants would be enough to power the whole country, no fossil fuels needed. To cut global emissions in half by 2050 we would require the construction of 12,000 nuclear plants across the world, that is about one coming online a day. I am not saying that there are no dangers to the use of nuclear plants, however they are going to need to be used if we are to successfully combat and defeat global warming. If the reactors are well maintained and looked after this will prevent an Chernobyl like disaster and if we are able to carefully place the reactors away from areas more prone to natural disasters such as Japan and 'the ring of fire' this should also lower the risk of an leakage from the plants. No, nuclear power plants should not be used alone in the combat against climate change, of course we should use solar panels, wind turbines and hydroelectric dams to cut carbon emissions and save the planet. 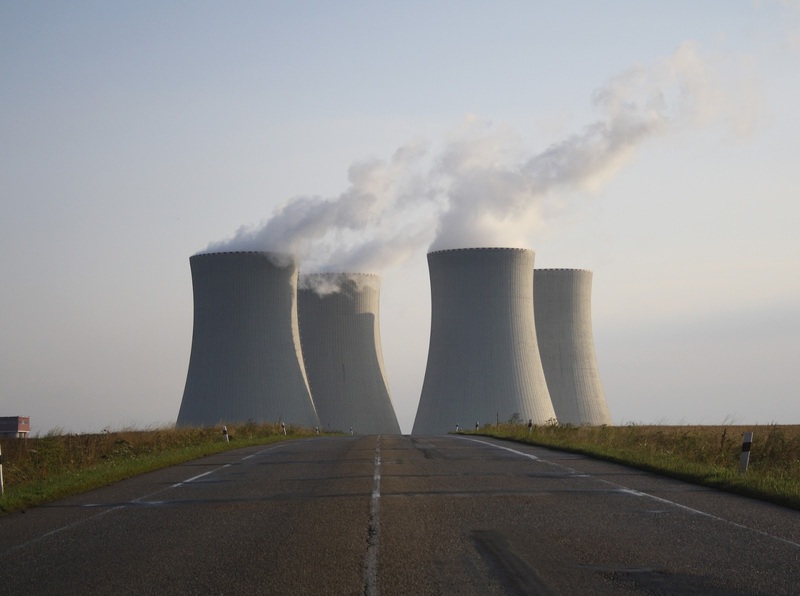 However, nuclear power is needed to make a significant impact on cutting emissions.